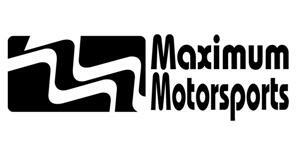 The ultimate rear suspension for your Mustang is now available from Maximum Motorsports! 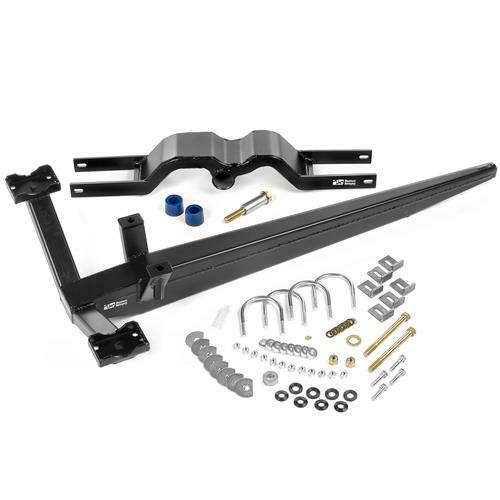 The ultimate rear suspension for your Mustang is now available from Maximum Motorsports. Installing the MM Torque-arm will greatly improve your four-link suspension by converting it to a three-link design. Your car will have vastly improved traction, both in a straight line and when exiting corners. Your car will be much more stable and predictable, and you can get on the throttle sooner and harder while accelerating out of a corner. This Heavy Duty Torque-arm is rated for engine torque levels of 475 to 900 lb-ft. In the stock four-link design, the rear upper control arms are trying to do two jobs at once. One is to control axle wind-up, the other is to locate the axle side to side. When pushed to the performance limit, the upper control arms don’t do either job very well. Our Torque-arm suspension system separates the functions of the suspension components—each component has only one job, and is designed to perform that one function with no compromises. The MM Torque-arm controls axle rotation much better than the upper control arms. In addition, the Panhard Bar has the sole job of locating the axle side to side, which it also does better than the upper control arms. The lower control arms primarily have the job of thrusting the car forward under acceleration. The MM Torque-arm suspension system allows complete removal of the rear upper control arms and the quad shocks. The resulting three-link design will articulate freely, even during extreme cornering, acceleration and braking. The free-moving three-link design has so much more traction that the grip at the front of the car will now be the limiting factor (understeer). You should now raise the rear spring rate to increase the rear roll resistance, which takes some cornering load off the front. To meet your needs, Maximum Motorsports has determined the rear spring to match your front spring rate (see Spring Rate Table). These selected rear springs will give you better handling and improved ride quality with your MM Torque-arm suspension system. Not sure which torque arm is right for you? See the PDF file below to select the correct torque arm for your application.